The production Oracle server name. 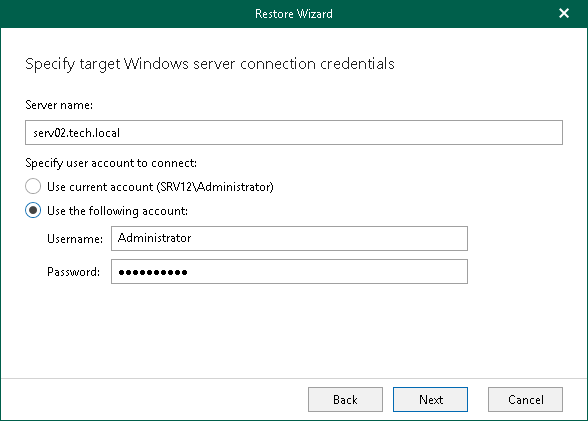 A user account under which you want to connect to the target Oracle server. Make sure this account is granted appropriate permissions to access Oracle databases; Read and Write are minimum required, Full Control is recommended. 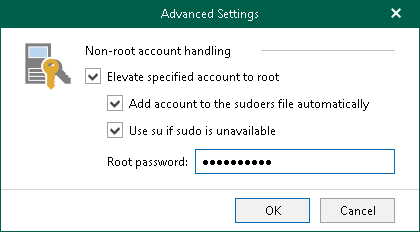 To be able to copy archived logs to the target server, the account should be granted sufficient permissions to access the administrative share. The production Oracle server name and the port number. 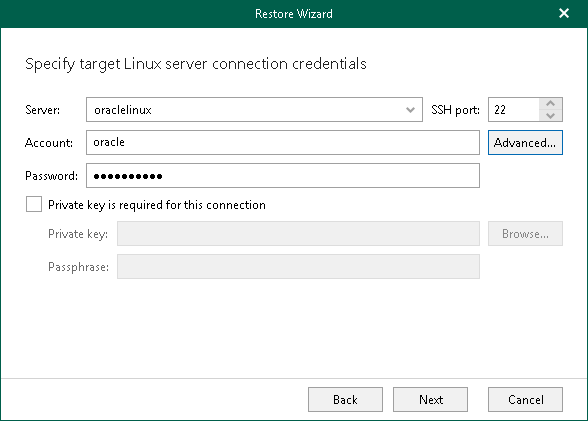 A user account under which you want to connect to your production Oracle server. To use a private key, select the Private key is required for this connection ckeckbox and click Browse to specify the key.